I would watch CNN if they swapped out Crypt Keeper David Gergen for a cat any day, and in advance I apologize to cats everywhere for suggesting that they would work for CNN. This entry was posted in cats, CNN, David Gergen, Death of the Media, Palate Cleansers, Talentless Hacks. Bookmark the permalink. I refuse. 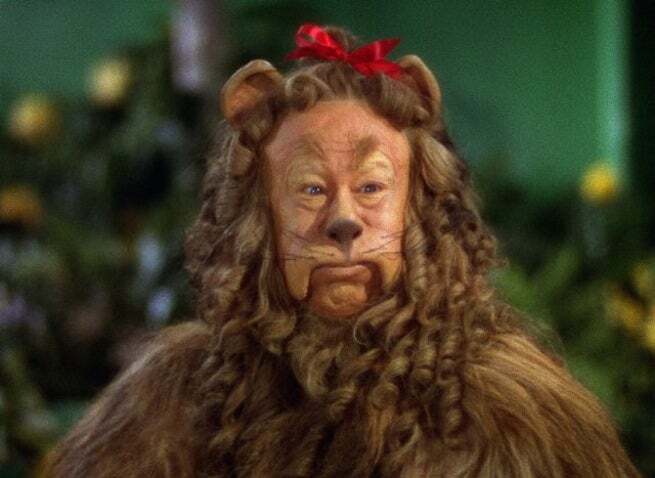 Bert Lahr was, at his most debased, better than any twelve modern Republicans. Plus, he wears a jaunty satin bow in his hair with aplomb.